Sometimes when you're out and about in that hot southern sun, you need a little more than a baseball cap to keep your body in the shade all day long. 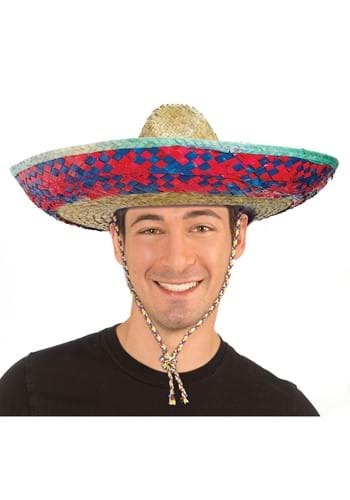 Way back in the time of cowboys, the term sombrero was actually simply Spanish for "hat" but the Texan cowboys ended up using the term to simply mean what we see them as today, a tall hat with a very wide brim. Not only will they keep you cool, but can you imagine tilting one of these babies down in front of your eyes and slowly riding into town all mysterious-like? You would not believe how much of a lady-killer that rambling gunslinger look really is until you've meandered into a western town and pushed open those double doors to the only saloon in town. Aside from that everybody is going to know you mean business and they're not going to want to mess with you. With so many uses for a single hat, you'd be crazy not to have one of these on your head.